You’ve seen the wavy wheels before, right? Zipp did it already, right? It did, but not quite like this. 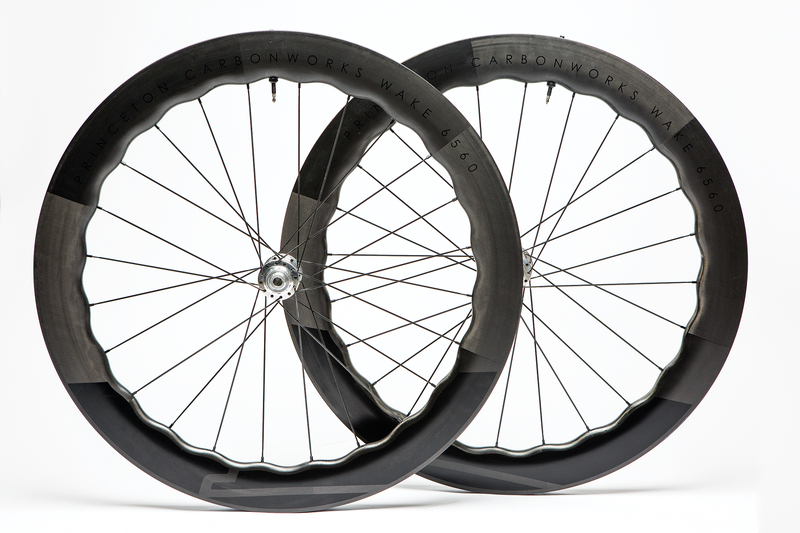 Princeton CarbonWorks had a different set of goals when designing the Wake 6560 D wheels, and while they share visual similarities, the Zipp and Princeton wheels differ in both design and function. In essence, however, the broad concept is the same: The rim profile features varying depths placed strategically to help reduce drag created by wind vortices. But that’s about where the similarities end. 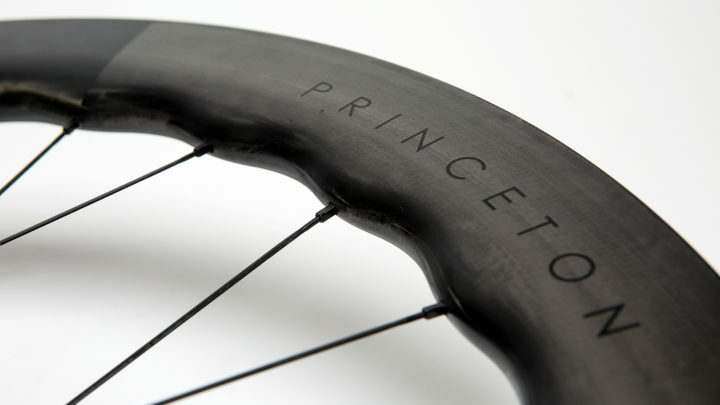 Princeton CarbonWorks reduces vortex-shedding-induced drag slightly differently than Zipp’s 454NSW wheels do. The Zipps feature a sawtooth profile, while the Wake 6560 wheels feature a sinusoidal oscillation. The difference, visually, is subtle, but according to Princeton CarbonWorks, it makes all the difference. Translation: They’re fast because of the oscillations, but they’re also strong because of the oscillations. Oh, and the wheels are light … because of the oscillations. 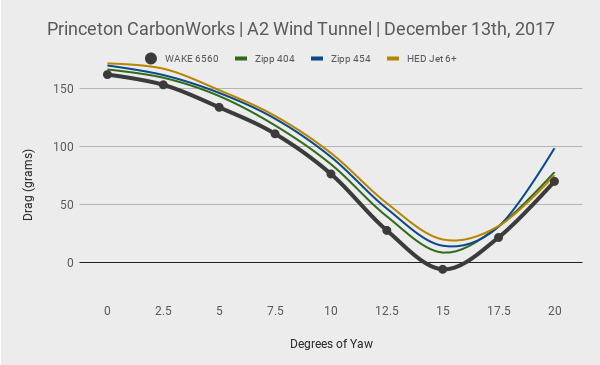 So while Zipp’s main goal was to build a wheel that performed better in crosswinds, Princeton CarbonWorks aimed to create a stronger, faster, and lighter wheel, all at a lower cost than the competition. On that last point, the Wake wheels certainly fit the bill: They cost almost half what the Zipp wheels cost. That’s remarkable for a small company to pull off. As for the other claims, it would take a significant investment of time in a wind tunnel to determine whether the Wake’s shape is any better or different than Zipp’s shape in terms of performance in crosswinds. Those are bold claims. How does it all play out on the road? The ride felt incredibly stable in just about all conditions that involved wind. In that sense, The Wakes perform as well as the Zipp 454NSW wheels, or at least they feel like they do. In other words, both wheelsets seem to outperform deep-profile wheels without the distinct humps that address vortex shedding. This was especially noticeable in winds at high yaw angles (think near-crosswinds). Deep profile rims tend to dance in these conditions, sending you off your line and giving you second thoughts about cornering at high speeds. Not so with the Wakes, at least not to a degree that the bike ever felt out of the rider’s control. Any rim will buffet slightly in those kinds of winds, but it’s clear the sinusoidal patterning helps calm the wheel, leaving you with better control and confidence. Aside from aerodynamics, the Wake wheels have a few tricks up their sleeves that make them a worthy investment. 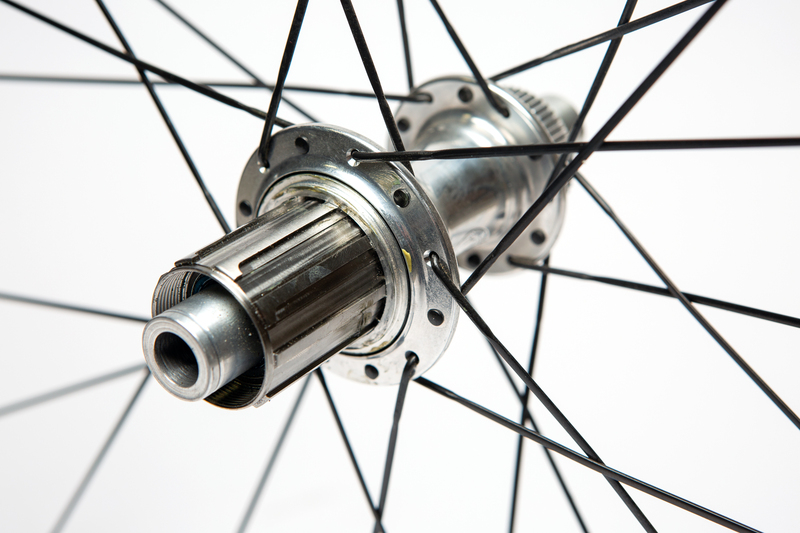 For starters, the White Industry Hubs are flat-out excellent, and the titanium freehub offers durability over the long term. I like the look and feel of these wheels. It’s hard to say whether they are any stronger than its competitors without relying solely on Princeton’s own data. And it’s also difficult to discern whether the Wake’s Sinusoidal oscillations perform any better than Zipp’s sawtooth-style oscillations, at least simply by riding. It’s entirely possible that the Wakes create fewer grams of drag at various yaw angles; the question is whether the difference is so drastic that you could clearly call them the better-performing wheel. What is clear, however, is that both wheels seem to behave a lot more stable in crosswinds than deep-section rims without any oscillations. And since the Wakes are almost $2,000 less expensive than the Zipps, they create a good opportunity for you to experiment with oscillations at half the price. And the hubs are a solid check in the win column. 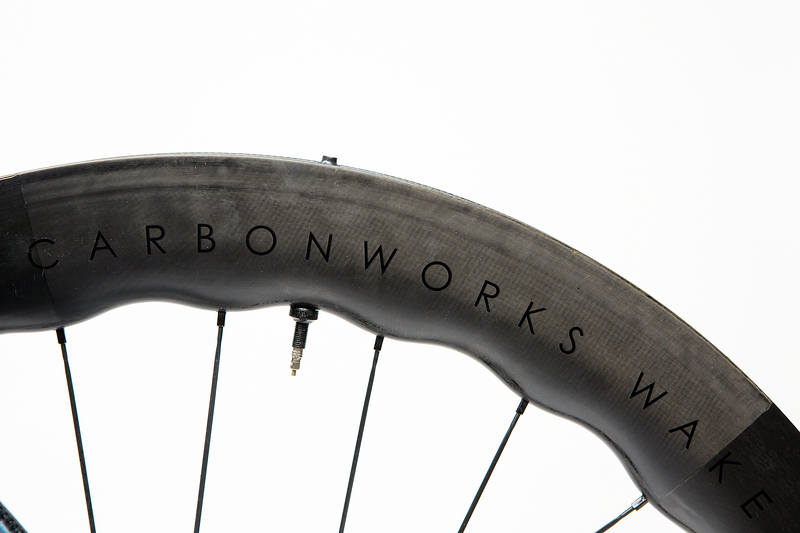 Ultimately, if you’re looking for a wheel that performs incredibly well in crosswinds, the Princeton CarbonWorks wheels are hard to beat. And they’re guaranteed to dress up your bike enough to get the attention of your buddies.